Evident in the urban revival of North American cities are planning and design strategies focused on attracting the downtown worker, the tourist, the conventioneer and the newly implanted suburbanite. In this wave of revival, many groups are marginalized, the reclaimed public space is often sanitized, gentrified and fortified, and not inclusive. However, there are urban public spaces that defy or at least resist these trends. Examining urban neighbourhood main streets reveals that even though the contemporary urban street can never be an unregulated place of unconstrained diversity, there are streets that counter the prevalent culture of consumption, and one can find visible signs of spontaneity and diversity of people and activities, and genuine social life. Using research in urban sociology, a taxonomy for sociability is developed, and the existing range of classifications of outdoor social activities is expanded. 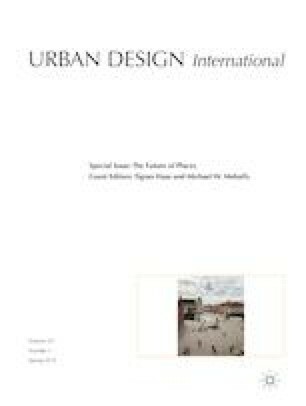 Through empirical examination, this paper explains how these streets perform as social spaces—how sociability is enacted, and what is the nature of planning, design and management, which supports social behaviours. Finally, the research emphasizes the role of the street as an ordinary public space in creating affordances for everyday social contacts that are crucial to personal well-being and social cohesion. 1369 Coffee House. 2016. http://www.1369coffeehouse.com/?page_id=2. Accessed 12 Nov 2016. Sociable. 2016. In Merriam-Webster.com. www.merriam-webster.com/dictionary/sociable. Accessed 12 Nov 2016.